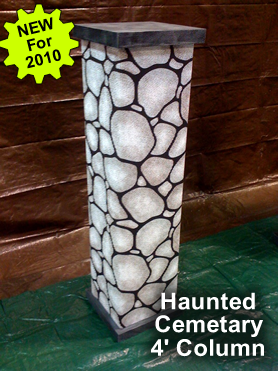 Haunted Cemetery Column Cardboard Prop - Dino Rentos Studios, INC. 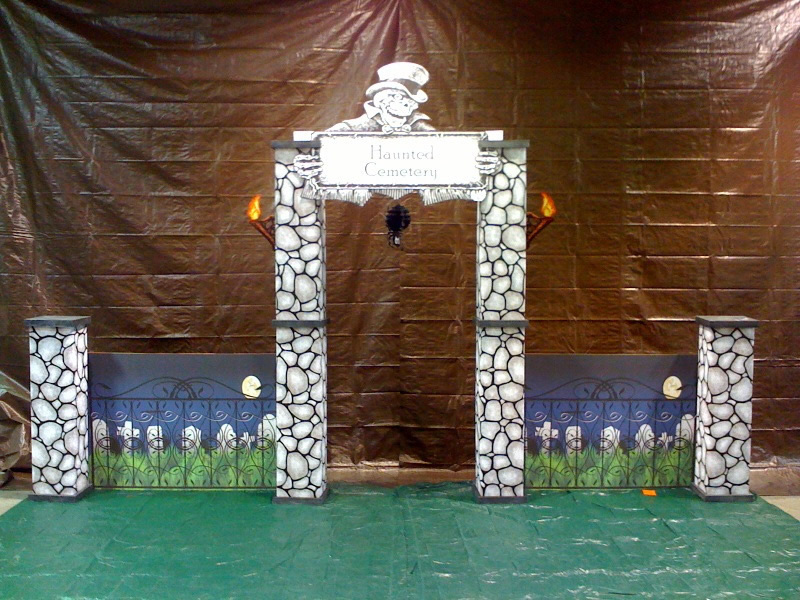 This full 3D Full cardboard and foam Column Prop Kit is the perfect addition for your event, party or window display. 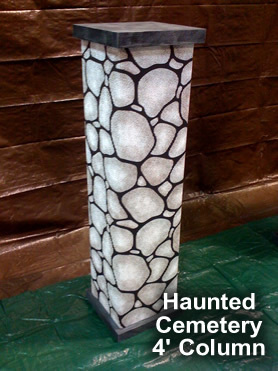 This Column kit is just over 4 feet tall and 14" wide. The kit comes with all the pieces to assemble the Column in approximately 10 Mins. Price is for one 4 foot column.